Photographer: Wayne Maser. Model(s): Vittoria Ceretti. Source: Vanity Fair Italia. Stylist: Sciascia Gambaccini. Makeup: Sissy Belloglio. Hair: Maurizio Kulpherk. Vittoria Ceretti takes us on a day-dream journey in ‘Viaggio Psichedelico’ by Wayne Maser for Vanity Fair Italia, October 2014. The power of Pink Floyd plays on in this Exhibition dedicated to the vision of vintage rock. Decadence designed, mere clothing takes a back seat as Sciascia Gambaccini hosts the history of style. 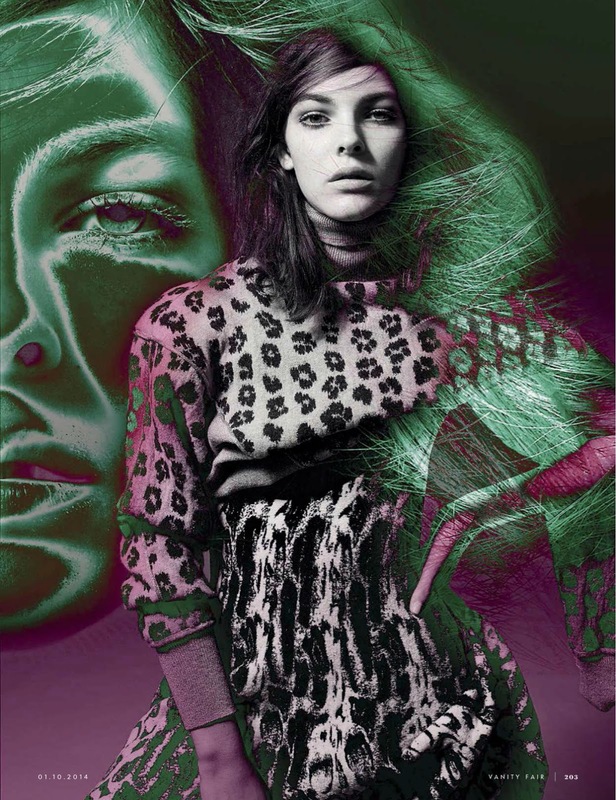 The future of modern fashion gets ferocious with looks by Blumarine, Emilio Cavallini, DSquared2, Ermanno Scervino, Giorgio Armani, Guy Laroche, Herno, Louis Vuitton, Missoni, Miu Miu, Pinko, Prada, Tommy Hilfiger & Trussardi. Makeup Artist, Sissy Belloglio, brings the face forward with a stellar selection of colors/shine. 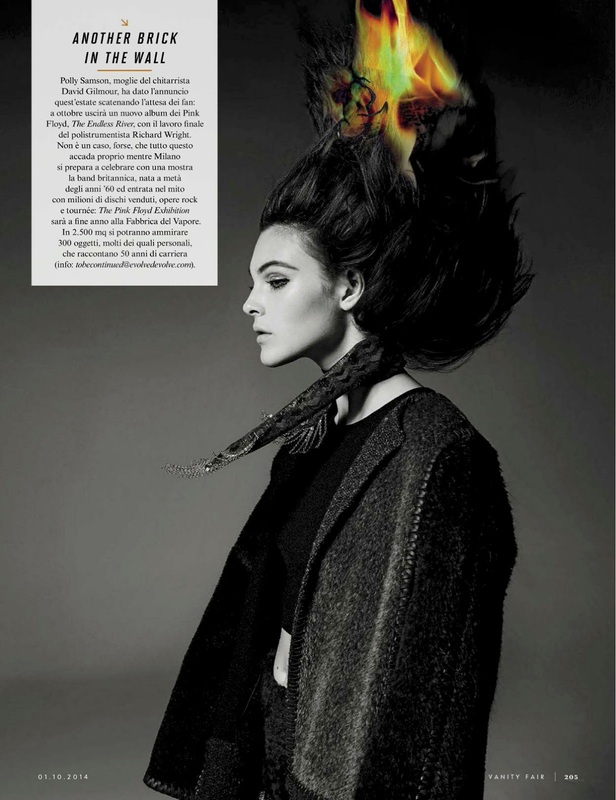 An overture of the extreme, (Hairstylist) Maurizio Kulpherk captures our attention with a fierce dew that goes up in flames. Beauty breaks free as Arielle Baron lets ecstasy of true artistry explode, in this compelling compilation of digital collage.